you probably should have asked others for more input about this before publishing. the earth blessing will heal , but smoll heal (like rio) so not very usefull. I'd like to gib special thankies to Squ-senpai and Baite-oniisan for foods n yummy things. you will prob learn something regardless of your class! 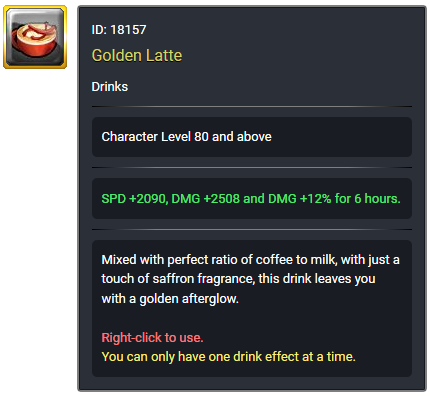 For Holy build Bow there is not really a better alternatives for Foods & Drink in current content so here it is! The idea of this build is to abuse +50% Damage Taken Proc from Left Path with your highest multiplier skill, which is Arrow of Light! For starter try to make yourself count to 5 anytime you first hit something (since this will trigger your first +50% damage taken debuff) when you count to 4 you can start charging your Arrow of Light for the next burst. Below is some stuff you need to keep a note of! Charged Hail of Arrow will completely eats the debuff! In party runs when other people will be also hitting the boss and boss' def getting shred like crazy your job as a Holy Build Bow is super simple! Release your Arrow of Light! 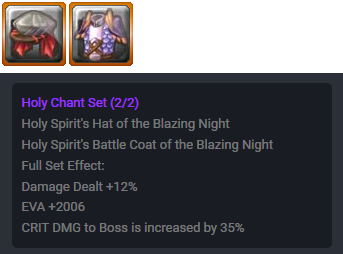 When you are geared enough this is a guaranteed one-shot on any boss if you proc extra damage with total of 90% coeff (so Zeal, Dreamy Heaven or 2 of any other damage proc). But here is some example of my rotation on certain bosses, you can try and figure out your own as you go! So here's what you do! At this point you can continue with your usual rotation! First let us cover what you should be getting and touch a lil' bit about why you should get it! First is this lv 90 bow! 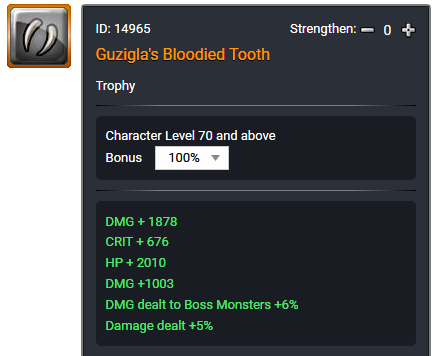 You 100% have to grind from lv 90 to 95 so you will have to get this weapon regardless, even though for Holy Build lv 95 Bow is wayyyyy better! Let us look into the pros of this weapon! It is a crafted weapon! Meaning it can have Destroyer, Nocturnal or Deadly core! 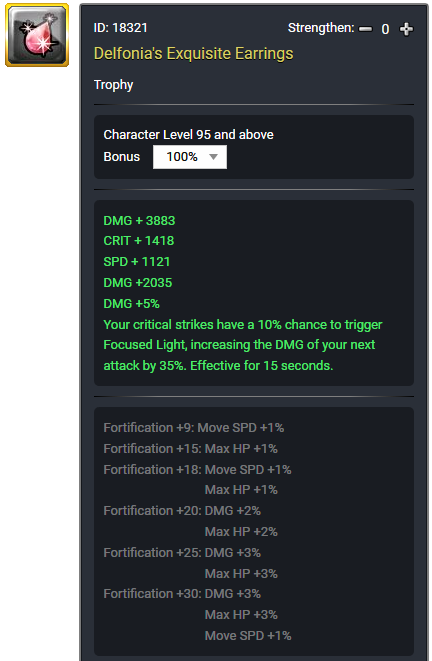 It has Crit Damage vs Boss which means easier to get 350% Cdmg cap! 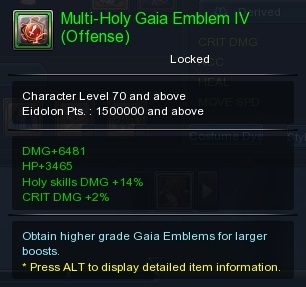 Easy to get holy element on! Since you just take green equipment for it! And our second and primary choice! Can't have Nocturnal & Destroyer at the same time, again i recommend putting Destroyer on sub weapon and try to survive with just bard sub, it is not hard to get used to but ofc you can have nocturnal spare harp for your daily slacking dose! and this is the only sub-weapon worth using! There isn't any important skill secret stones you have to get as a Bow to be honest, but having extra tiny bit bonus for Arrow of Light and Hail of Arrow is pretty neat and when you are not geared yet +duration for Corrosive Shot will be super helpful, i suggest just getting whichever skill secret stone that has your preferable option for other secret stones (namely Glove and Boots Secret Stones). If you try hard you can always have damage to all element and swap secret stones when you want! 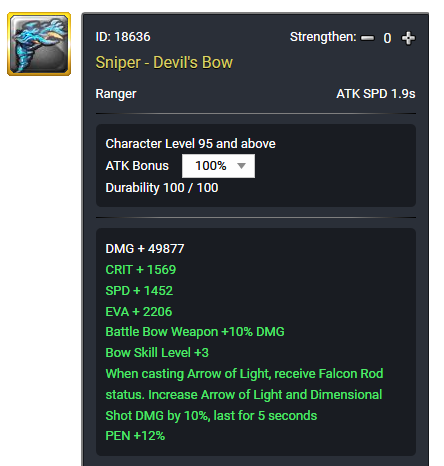 This lv 85 bow is a must have for anyone who plays bow! 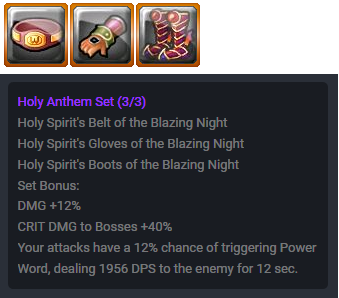 This mainly covers everything you need to take as a holy bow, put the rest 2 points in whatever you need, can be extra spd, extra crits, or blessing nodes. In most of cases you will just go put your 99 point in Damage and HP while putting the rest in Speed and Defense, which is sad but it's just how it is now. But for the sake of formality let us dive into what stats you have to aim for! it has 3 tier, first is level one, then level 30 and last is lv 60, each of this tier will give your skills extra effects and fancy fancy upgrades! For every level you have on weapon specialization you will get one extra point to use in weapon mastery points, which we will touch on more later! And even though you can only have one path active at one time, you still get to use all the point from each path, with total of 140 point to use! So let us dive more to what left path will give us! buuut~ keep this in your shortbar whenevah u gotta slack and nuke a group of mobs! Just hold it until the duration is done n BOOM! Daily dose of slackin! Weapon specialization effect evolve by level but let us just focus on the lv 60 effects! second is that it debuffs target hit by full-charged corrosive shot making anyone who hit the target under the debuff gets 10%+ on all stats! 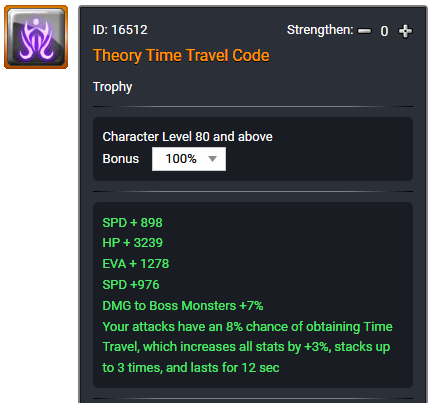 This means if you use this in something like Sky Tower... its 10% all stat buff and +15% damage dealt for the whole raid! First it gives extra damage when your target is under corrosive shot debuff, which multiplier is not high so you can barely notice it, but we do not care about that! The second part is where it gets super interesting! it gives your attacks 100% chance to gives +50% Damage Taken for the next 2 hits (since the first hit also counts as hits) which is a lot! It is like a guaranteed zeal that also increase your zeal damage! Downside that it hits random target, not 100% the target you are hitting, and it sometimes goes to weird objects like stones or like unanimated objects D: But as long as you clear mobs first you should be fine! But bard without a doubt is the best sub bow can have! even if you build dark. Sub bard gives extra 12% detailed damages and a lot of movespeed! Other than that it also offers a stun and heals in case you need it! OH! It also give you access to combo skills! and out of 3 combo skill that Bow/Bard has, one has holy element, which can be an extra nukies when you also need to survive, pretty neat stuff! 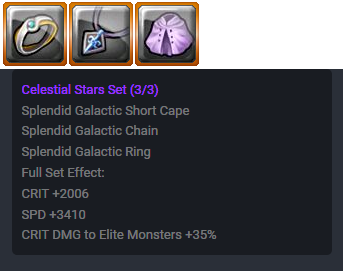 Before i touch upon details of how you can gear up for this build, i figured that, giving an example would be a great start! I'm also still looking for movespeed penetration enchantment card so hey! if you haven't finished your gear just know that i'm also still working on a lot of stuff! But that's enough about me let us go to actual how to gear part! I'm Cath and I play the strings class, lol jk xD I mean Warbow. The animation for light bow is super suggoooi xP so I use that build. but you kno', if you feelin emo or smthing you can do the dark build. But is definitely pretty and fun to play! yay~! pweople usually do dark build which is ok, buut...Holy is so pretty and shiny so i decide to do holy build! 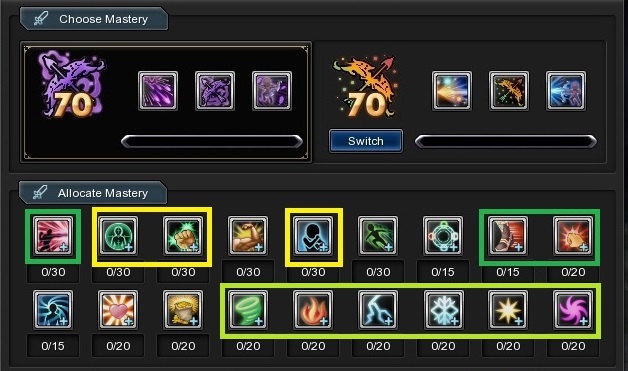 You can also apply some stuff in this guide for dark build since gear is mainly similar, but the gameplay is alot different! Starting an MMO is always borinnnn, but you! yes! YOU hang in there! To navigate tru the guide just search your desired things to know and scroll to that part, i made them shiny for you! and press the spoiler buttons to show contents! bow is a unique class, unlike other class, bow can do chargies for their skills! First of all let us all see what skill our lovely bow have! There's a mastery which makes this skill gives you up to 11% extra damage! and it is kinda useful if you using this build, more on that later! but for now just take that you must never full charge this skill on a boss! You can however, charge this skill on mobs! to get bonus stats and stuff from your envoys (or passive) again more on that later! This skill element is ice! 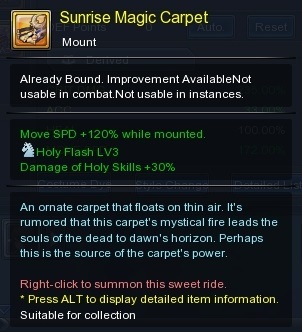 This skill is also not that fancy but it has it uses! While it is way more useful in PvP than in PvE, the freeze can be useful for some bosses and when kiting mobs! To activate the freeze effect you need to full charge this skill! This skill element is dark! and it can become suppppperr scary with right weapon specialization! Ooooh i love this skill! This skill cannot be charged, but! 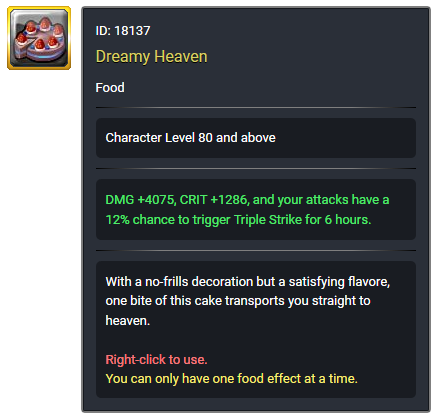 When casted it gives you some extra damage stats, 10% movespeed yum yum AND 30% chance to deal 50% extra damage! Pretty simple but verrrry strong! it does will not deal as much damage as our main element skill, but with this build this skill gives a debuff of -15% defense! which is good! you have to love def shred! Okay this is our main buddy right here! And with left weapon specialization, which we will be using in this build, this skill gets 30% more damage as well as a +5% damage taken debuff that stacks up to 3 times and when fully charged gives another debuff which gives anyone who hit the debuffed target 10% boost to all stats! This is the skill we will be focusing on for this build! although the effect isn't that fancy, it has the highest damage multiplier thus dealing the most damage in one shot! Warbow class specific envoy nodes are super important! with exception for +3m range to skill, everything will make your bow more flashy! This is the default node which you will be getting at level 3! it gives you move speed +10% zoom zoom! and 20% critical rate and accuracy when fully charging a skill! 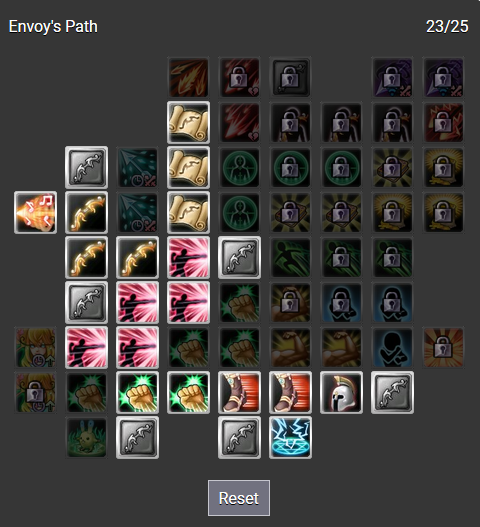 This envoy nodes will give you AND your party member 8% chance to deal 50% extra damage whenever you hit something, both auto attakcs & skill its more proc proc pops pops! Overdraw gives you a buff of +3% Damage and Accuracy, which stack up to 5 times everytime you successfully charge a skill, doesn't matter if the skill actually goes off or not! this means you can get +15% Damage and Accuracy after 5 successful charges! BUT it also gives chance to make your Arrow of Light/Dimensional Shot 30% Extra Skill Damage, which is a lot! You can tell when this envoy buff is up easily since it will be purple colored, its pretty and eyecatching! 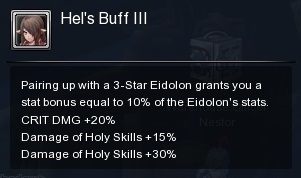 It gives you 50% chance to give you a buff of Main Weapon Damage 8% and Crit Damage Cap +10%, and it stacks up to 5 times! 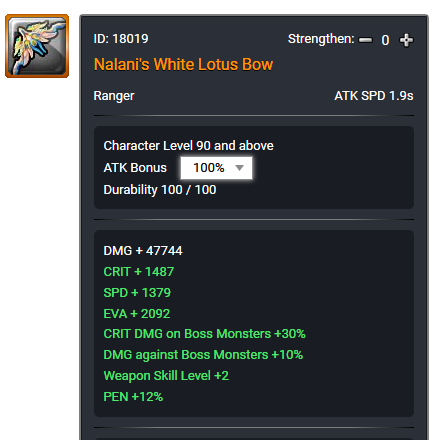 Which means you will get total of 40% Main Weapon Damage (In case you can't tell ITS HUGEEEEEEEEEEE ) and 50% crit damage increase, which put bow maximum crit damage dealt to 350%! It is kinda annoying to stack tho D: 50% chance to proc on full charge is actually tiring when you pay attention to it, but it's OP!